It wasn't that long ago that we started seeing a variety of beers catering to the Steampunk crowd, so why not some wine? Obviously wine should be no exception. Of course, many of us remember the days when wine was somber and classy; it was an upper-class drink, and the labels reflected exactly that. They were rectangular white (or cream) labels with a fancy print that wasn't in the least eye-catching. Cryptic wine! It's hard to make out all of the details in that picture, but the label wrapped around the bottle looks like a Steampunk watch, with Roman numerals from 1 to 20 counting around its face. Oddly, the numbers don't start at the "12" position on a normal clock, but at the 11 position. 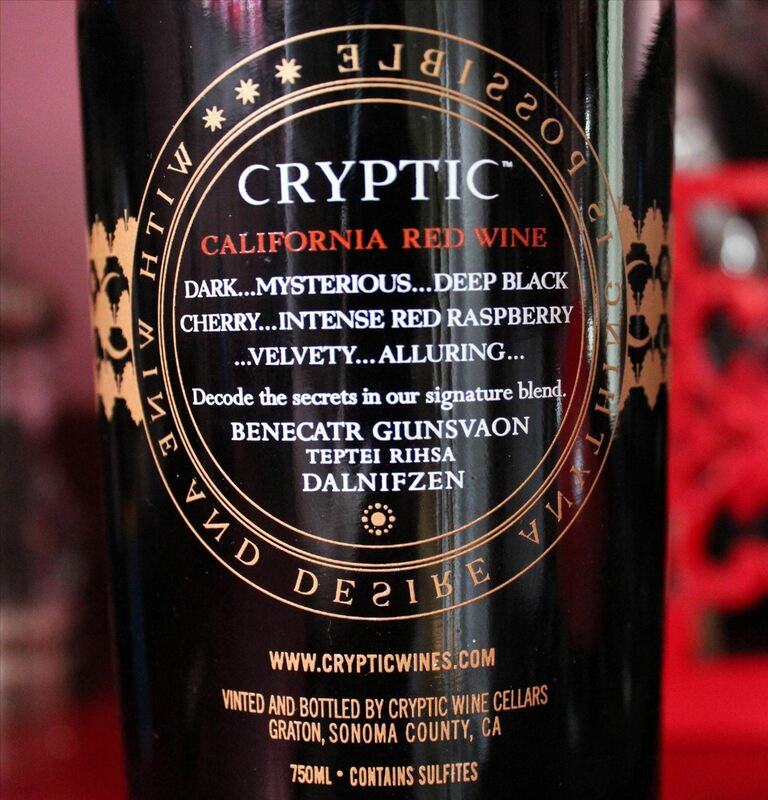 The wine is, indeed, cryptic. In backwards letters, it reads "with wine and desire anything is possible" around the face. Slightly provocative, I would say. 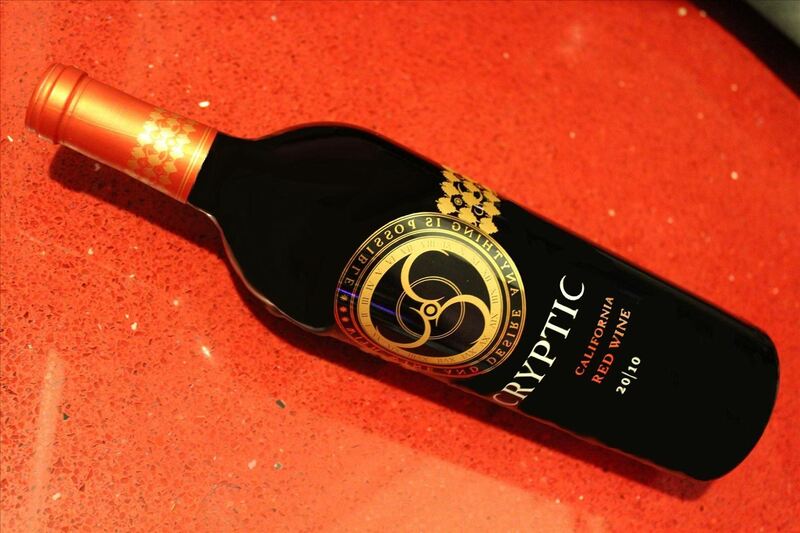 Cryptic is more than just a name, too, as it has its own little riddle on the back. As you saw on the front, it didn't actually describe what kind of wine it was, beyond "California red wine". If you want to know what the blend of this particular wine is, you need to solve the puzzle! I figure I'll go ahead and spoil it for you, so if you don't want to know the answer, skip the next paragraph. The answer is cabernet sauvignon, petite sirah, and zinfandel. As for the rest of the back, with its claim of dark and mysterious, velvety and alluring, cherry and raspberry... Well, I'm not sure that it lives up to its self-proclaimed hype. The taste is very fruity, yes, but it's also dry and shallow. Ironically, the wine with a complicated bottle has a simple taste and at an $18 price point, that may not be what you're looking for in a wine. 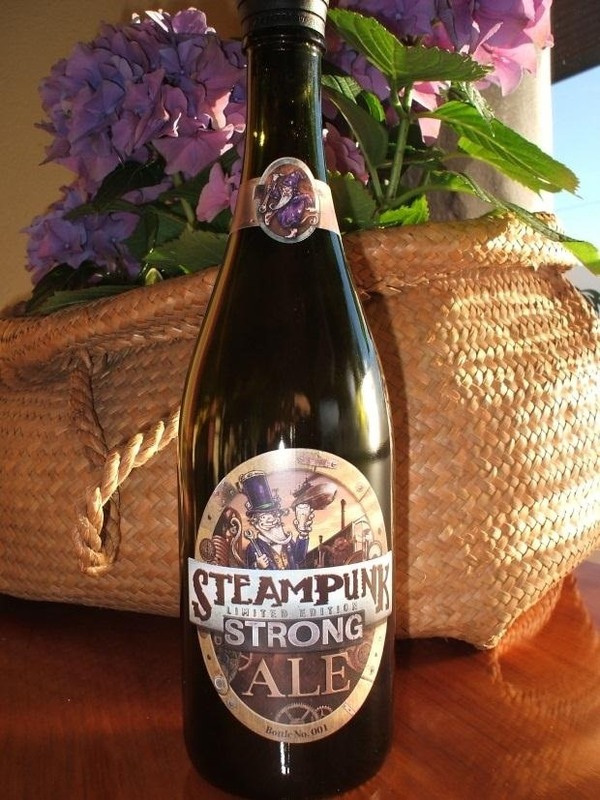 In my personal opinion, Steampunks should probably pass on this one, in favor of better wines at a similar price point! 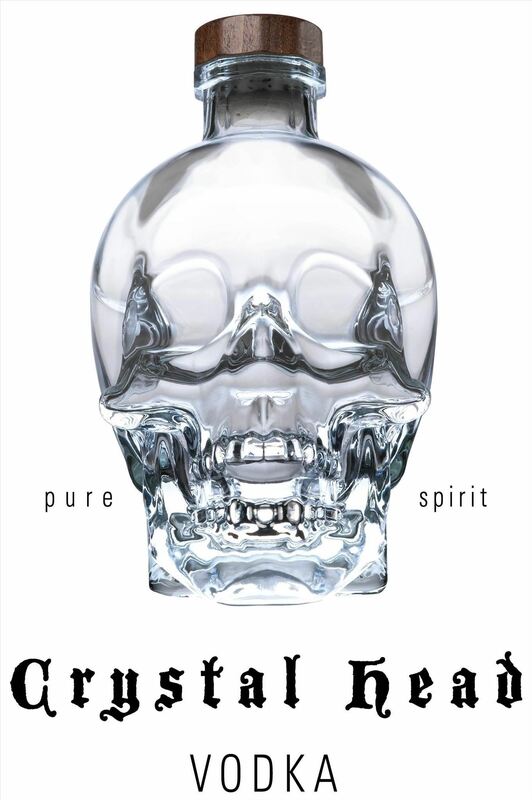 The Crystal Head vodka is not good. It's not as bad as some but it's only worth the cost of the glass skull decanter. 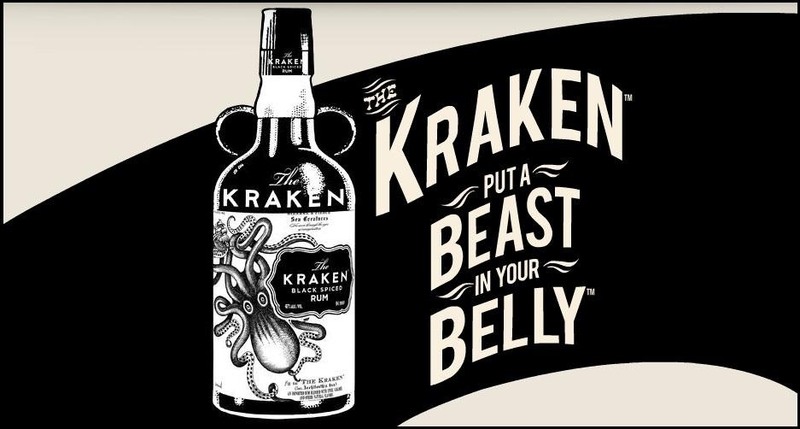 I'm not a big drinker, myself, so I've never had the opportunity to have some. However, that's about what I've heard from other sources. I am tempted to buy some just for the skull, though.